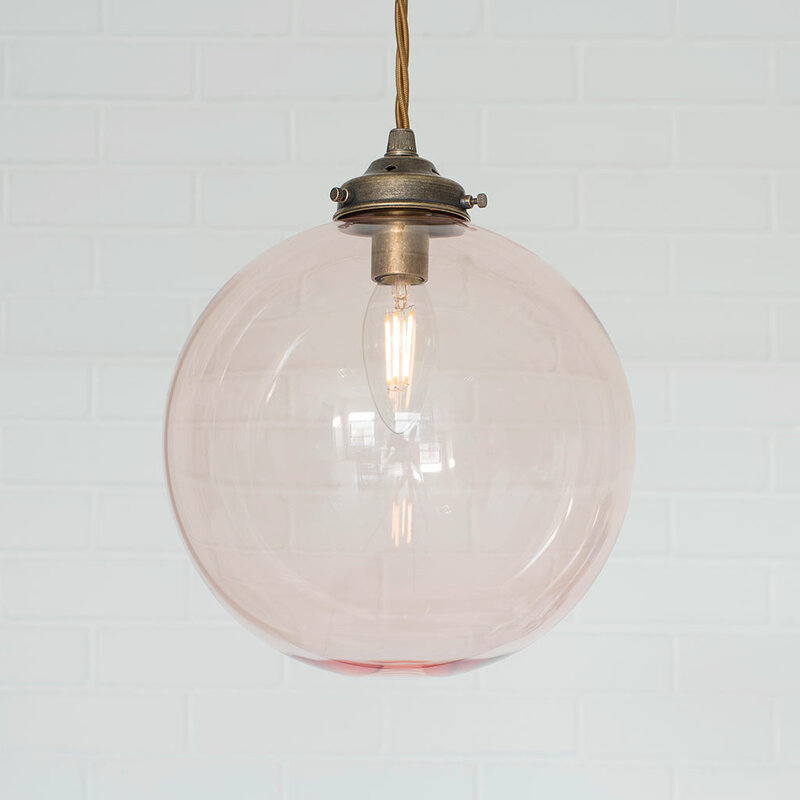 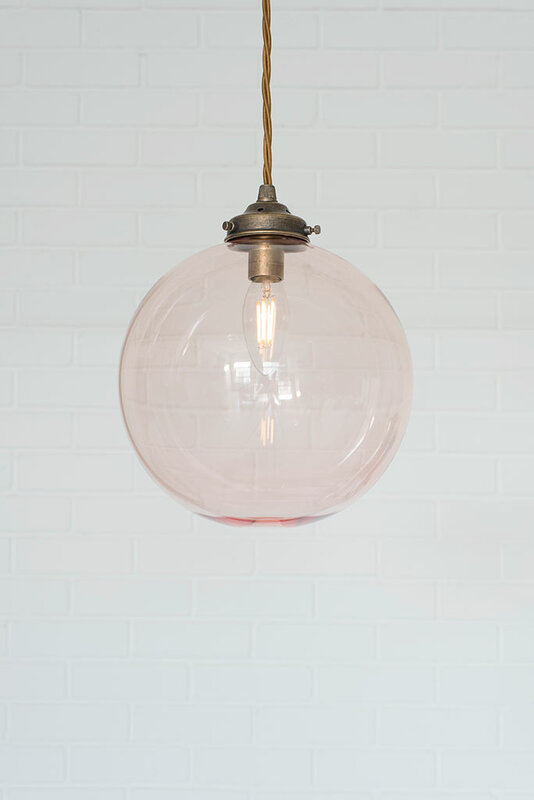 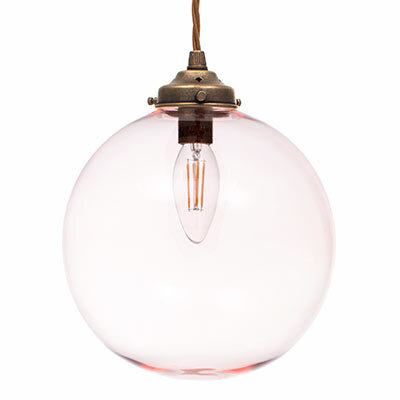 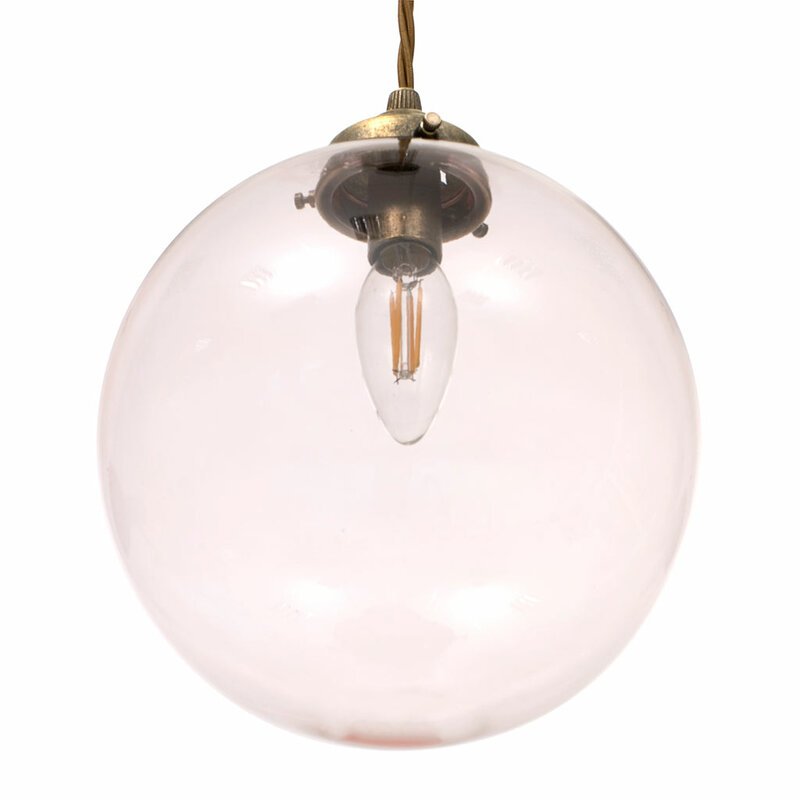 Our delicate, dusky pink coloured glass Holborn Pendant Light is perfect for adding a subtle accent of colour. 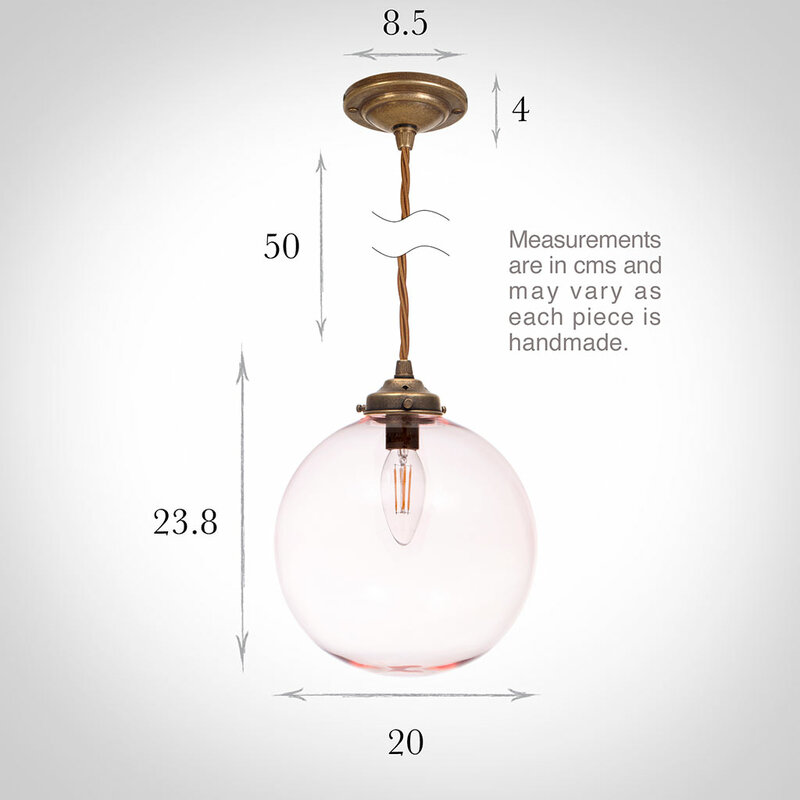 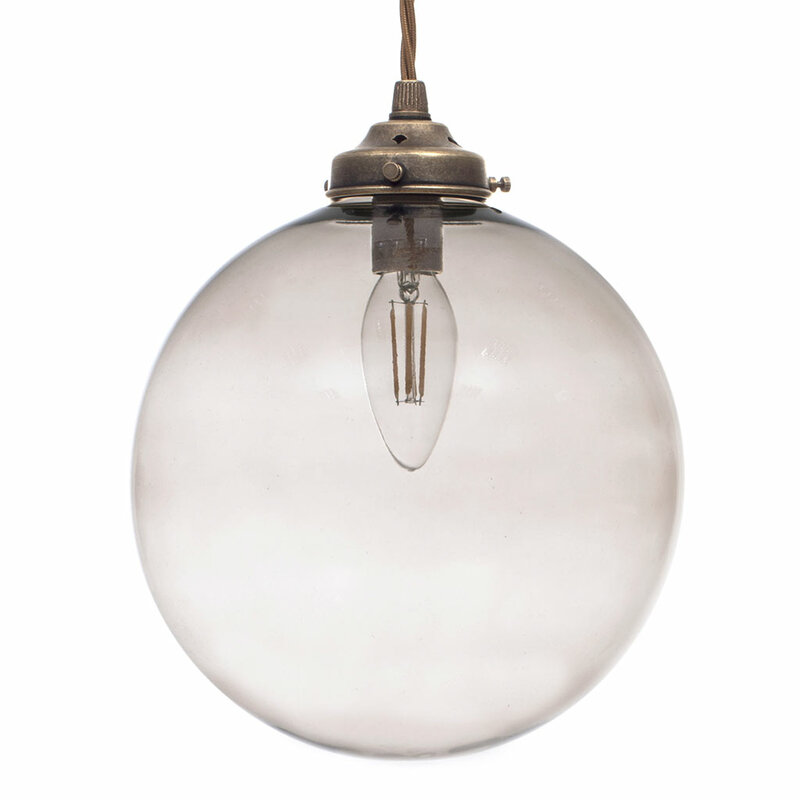 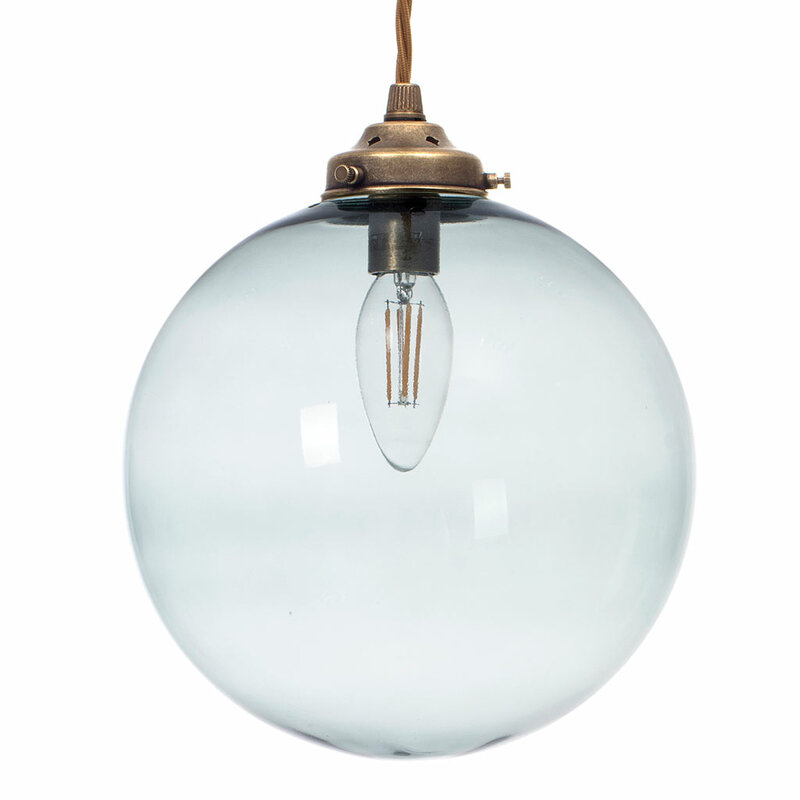 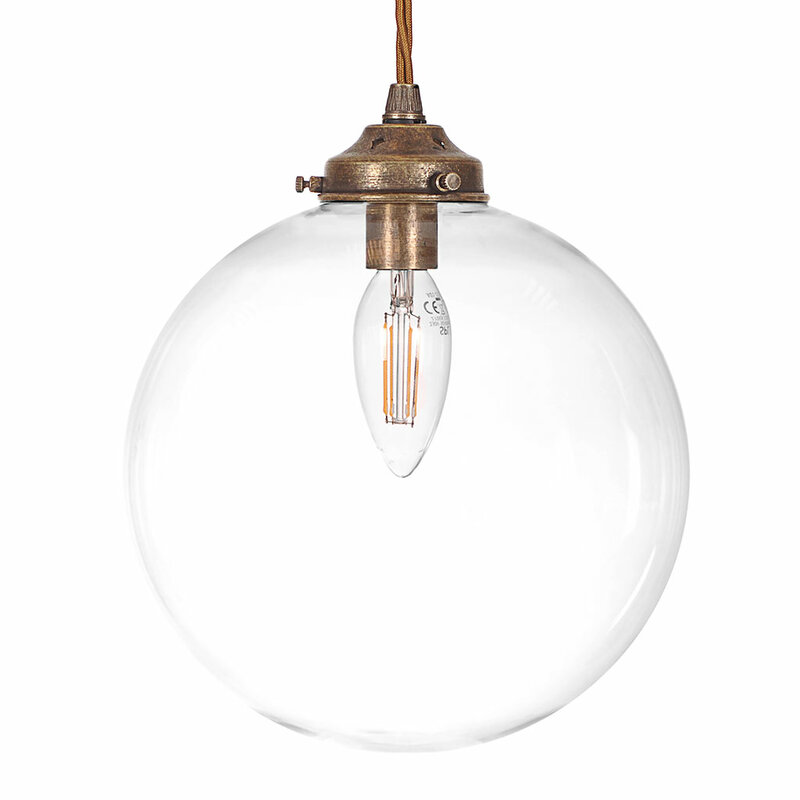 The clear glass with a subtle hue is beautifully offset by the antiqued brass ceiling fitting. 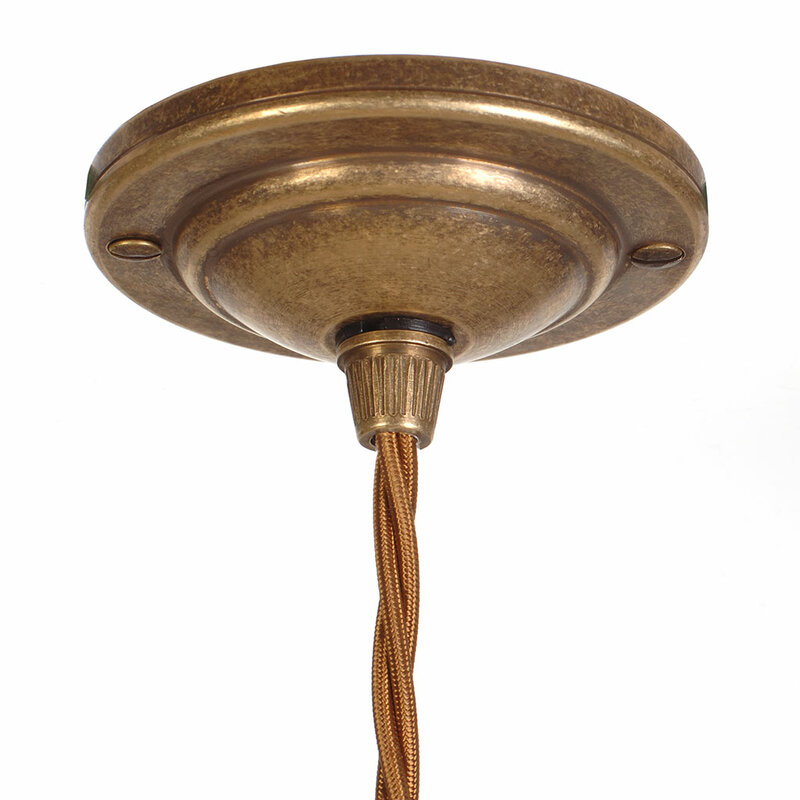 This beautiful ceiling light would look lovely in a hallway, landing or dining room. 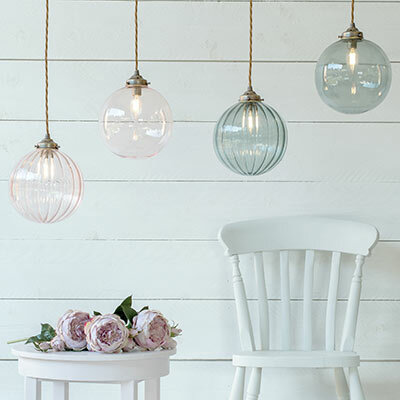 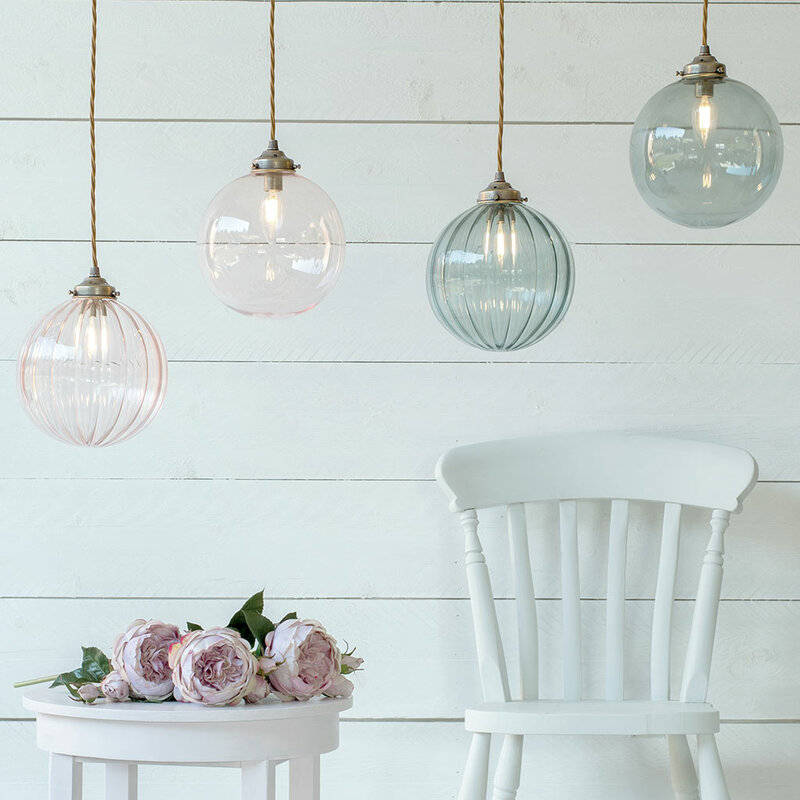 Choose from delicious dusky pink, greeny blue and elegant charcoal individually handmade glass, available as three ceiling light styles in a choice of finishes.